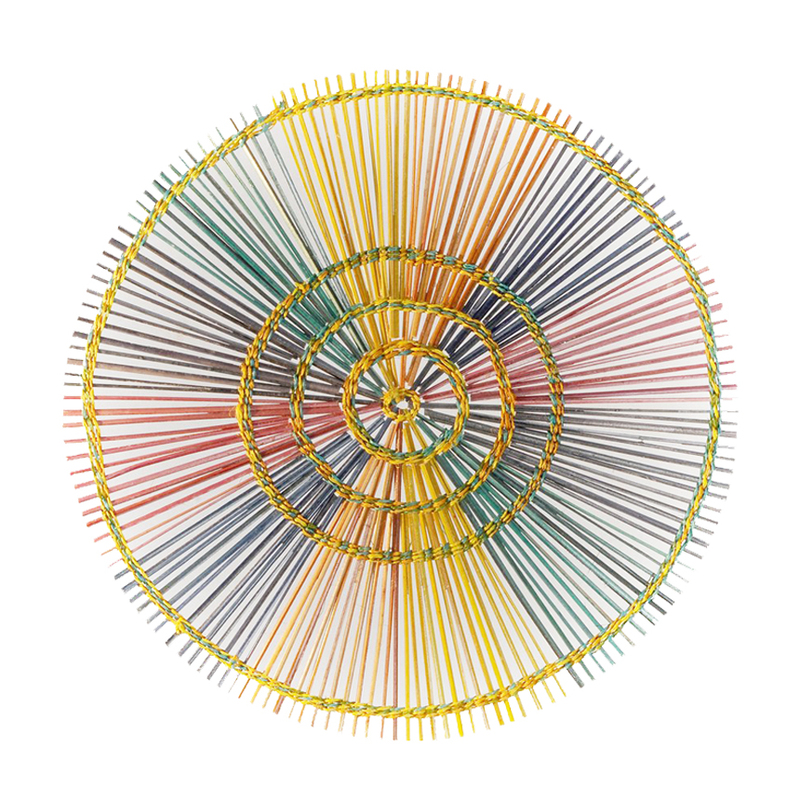 Hacienda Craft’s vision is grounded on twin pillars: Providing an alternative livelihood for farmers and other rural communities while preserving native weaving traditions. Combined with design, the Bacolod-based company developed a template for sustainable social enterprise. At Manila FAME’s 68th edition, the company’s Ikat lamps by Tes Pasola bagged the Katha award for best product design. Made from buri midribs and bamboo beads, it is a polished – and inventive – reimagination of a traditional pattern, in consonance with the company’s creative credo established by owners Joey and Ina Gaston. 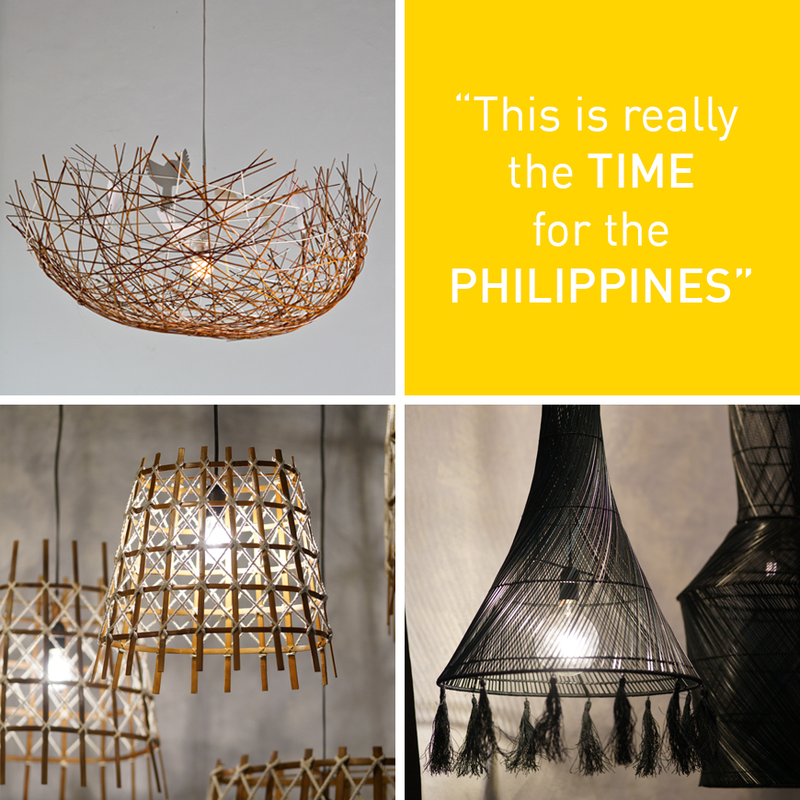 “We express Philippine culture and traditions through design,” Ina explained, “using indigenous materials and craft techniques in a contemporary way.” It is a stylistic tenor that is finding favor with both local and international buyers. Clockwise from top left : Bird’s Nest Shadow lamp; Calligraphy 2.1, Calligraphy 1.0 lamps, made from buri midrib, by Christina Borromeo-Gaston; Fish Trap lamps,made from bamboo and cotton cord, by Stanley Ruiz. Ikat placemat made from buri midribs, by Christina Borromeo-Gaston. A new wave of business owners and managers bring hope for craft makers. “We don’t belong in your collection,” Joey told an American second-generation buyer who showed his catalogue of mass-produced items. “But I actually want to put natural stuff in our collection,” the American countered. Top photo: Ikat table runner, made from Buri midribs, by Christina Borromeo-Gaston.